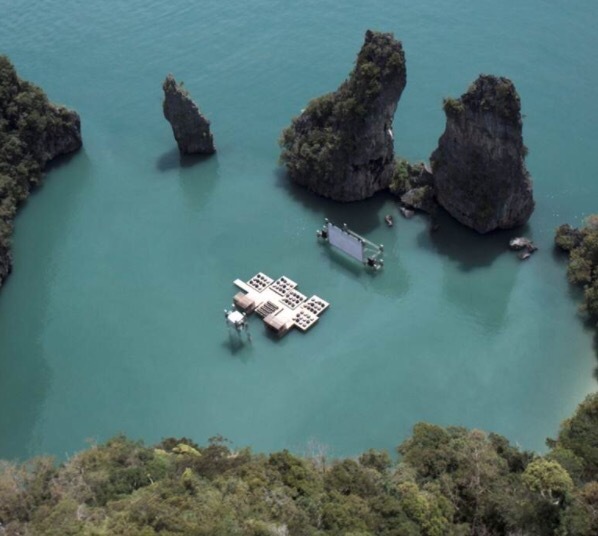 At first I thought I might try it some day, but given the local terrain, having to get from this movie theatre on the water to wherever I’d sleep after the picture was over doesn’t look like fun. I don’t like swimming in the ocean after dark. Perhaps a boat comes by to get you? Or is this an idea like the hot tub movie theatre that, while artistic, wasn’t fully thought out? (It is not healthy to spend more than 20 minutes in a hot tub and most movies are about two hours long, so you’d get a bunch of dehydrated people cooking their organs, right?) Well, the Archipelago Cinema does look awesome. 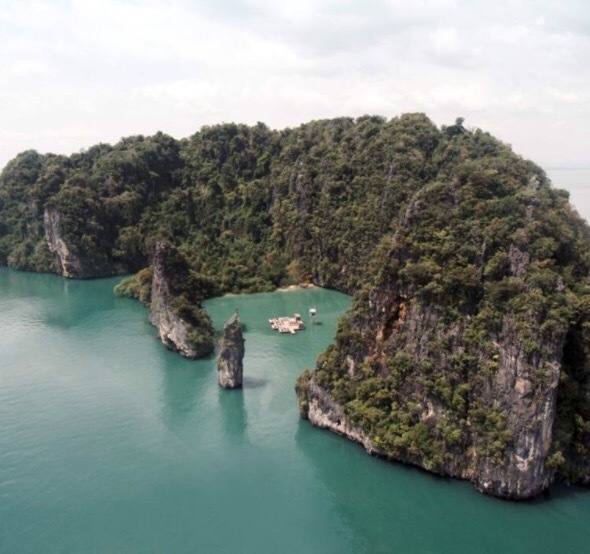 The movie theatre is located at Koh Yao Noi, Thailand. Archipelago Cinema was built in 2012 in part by famed architect Ole Scheeren. The lagoon has calm water. There is a beach and a backdrop of a huge rocks. 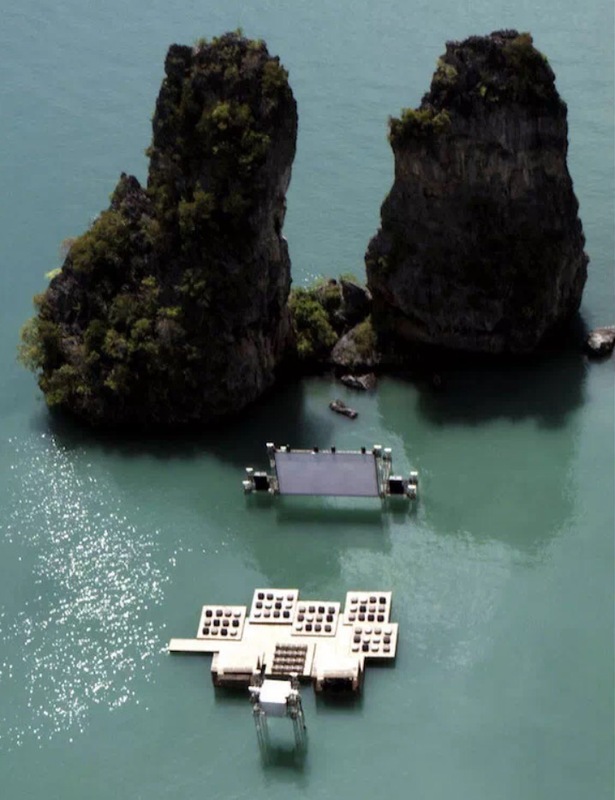 The audience sits on bean bag chairs on rafts floating above the sea in the middle of the lagoon. They focus on moving images across the water. The auditorium is a congregation of rafts. 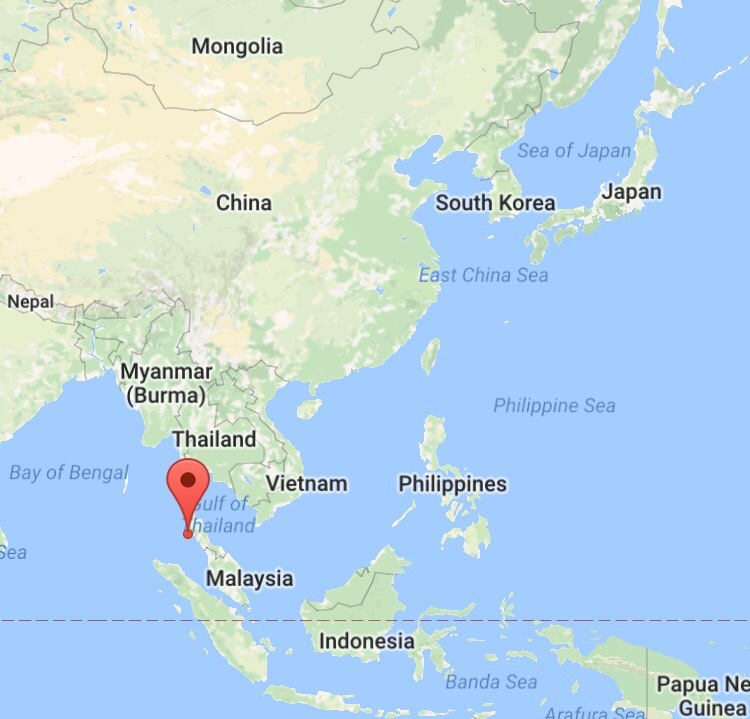 The theater, located in the middle of a tranquil lagoon in the Strait of Malacca, was built from floating wood rafts constrained together with nets, a skill utilized by locals as a part of lobster farming. Local fishermen farm lobsters on rafts. Wooden frames are tied by rubber straps to foam blocks wrapped in mosquito nets. A simple construction. A local technique. 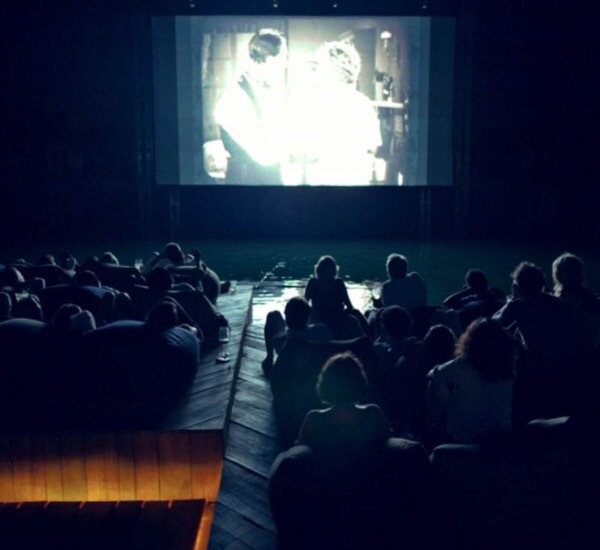 Adopted to build the floating cinema. Recycled wood and materials. Reusable modularity of the raft. Assembled, disassembled. Reconfigured, reused. After the screening, it will go back to the local community. As a stage, a playground. As an event platform, an assembly space. As something that belongs to them, that was merely borrowed. As something, that is flexible, that can be towed anywhere. And as something that can appear, from time to time, to host a few people watching movies.